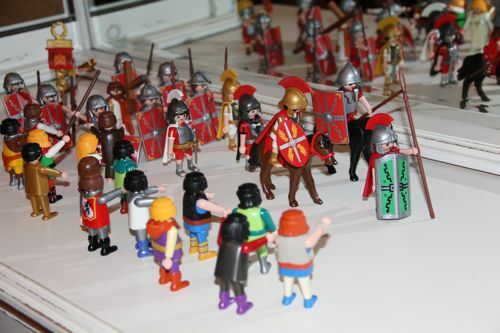 Shower of Roses: The Easter Story with Playmobil ~ 2011 Edition! In addition to our family traditions, my older boys started a tradition of their own a couple years ago! 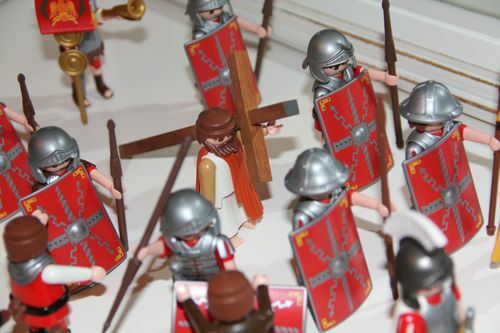 The first year it started with them reenacting The Way of the Cross with their Playmobil Toys. 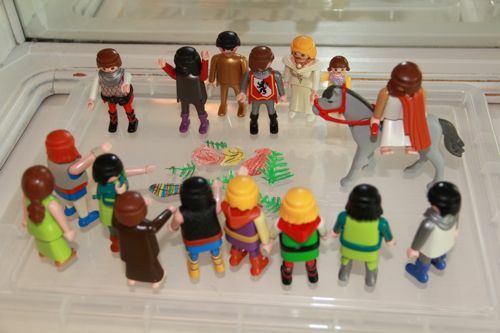 Last year I was delighted to find their toys set up for Good Friday, Holy Saturday and Easter Sunday! This year I found their toys set up on Palm Sunday (don't you just love all the little palms they cut out of paper! ), Holy Thursday, Good Friday, and Easter Sunday. It looks like they used their Nativity Set , Romans , Knights , Vikings, Pirate Treasure Chest (Garden and Stone for Tomb), Dragon Rock (Tomb) , and King's Knight (Flag). They have always done this all on their own, with no encouragement from me, and I think it is so sweet. That's great; I remember the days when my kids did that stuff. sniff, sniff. Jesus looks like he's doing pushups in the garden! I wish they could bend! My boys do this, also. We use building blocks to help with our backdrops. 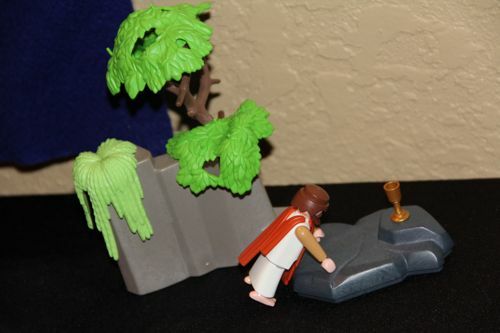 How beautiful where did you find you Jesus and the cave playmobiles? 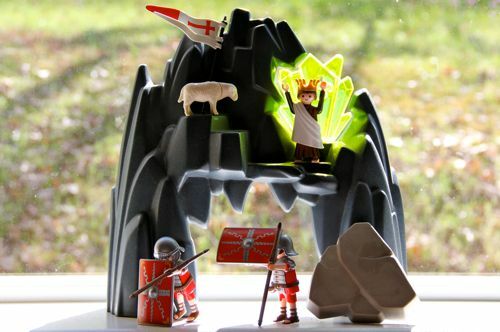 I believe the boys used Joseph from the Playmobil nativity set for Jesus, and the cave (tomb) is from the Knights of Dragon Rock with Dragon set.